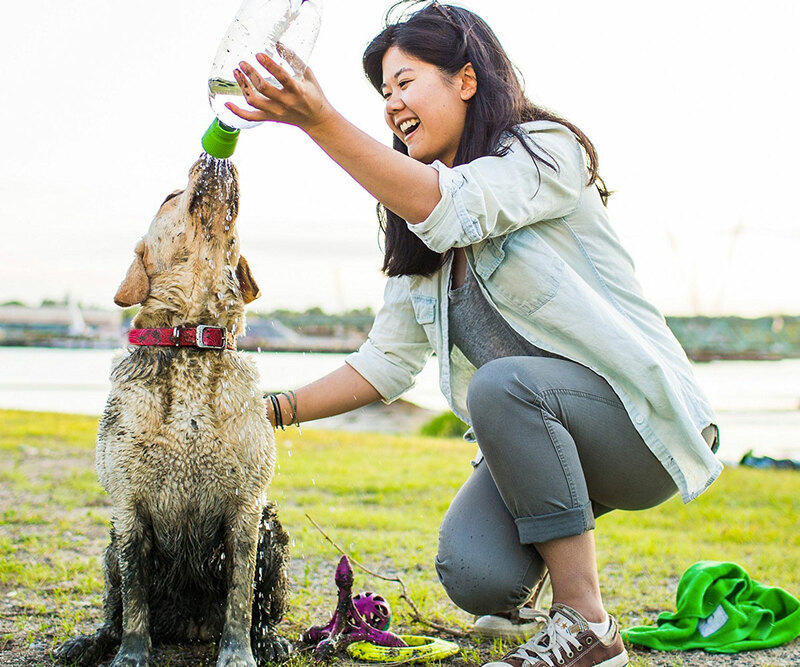 But, but, my whole purpose in life is to roll in mud, and then on your couch! 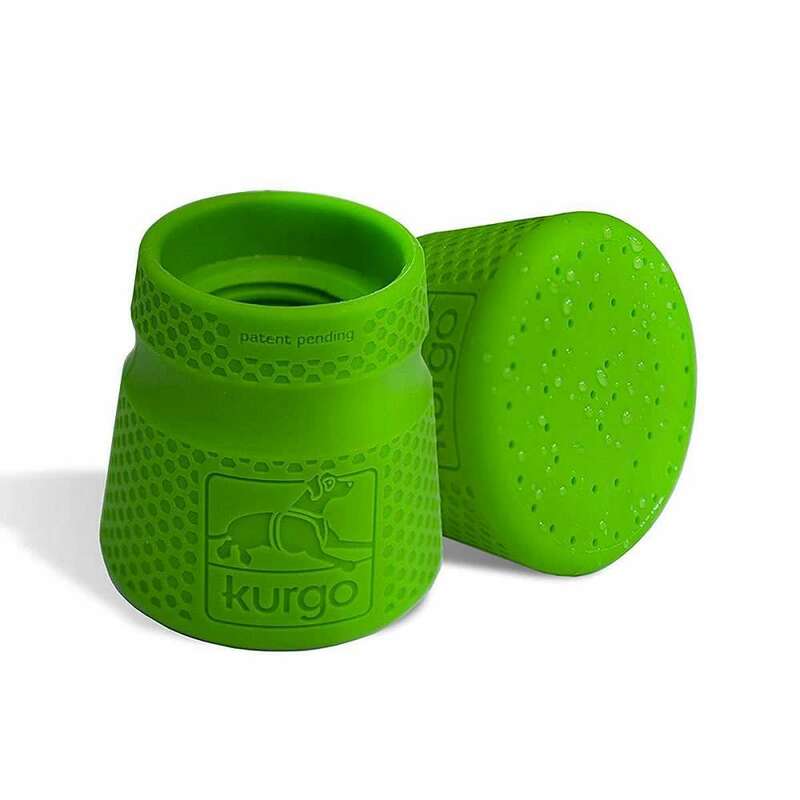 Kurgo's Mud Dog Travel Shower aims to put a wrench in your dog's plan to bring his nice & dirty self home from the park or hike as is, and to give you a quick, easily accessible way to de-mud him before he does. 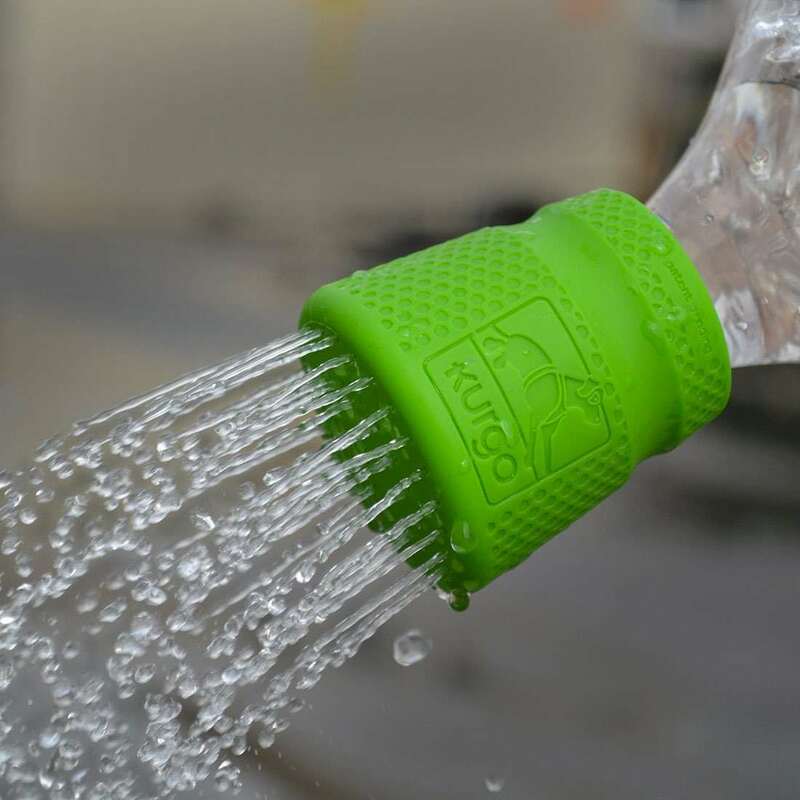 The "shower head" is a food-grade silicone piece that screws onto most plastic bottles to deliver a steady, but not gushing, downpour onto muddy coats and paws. Good bottle choices include PET soda bottles sized anywhere from 16 ounces to 2 liters. The latter will produce a showery stream for over a minute when full. 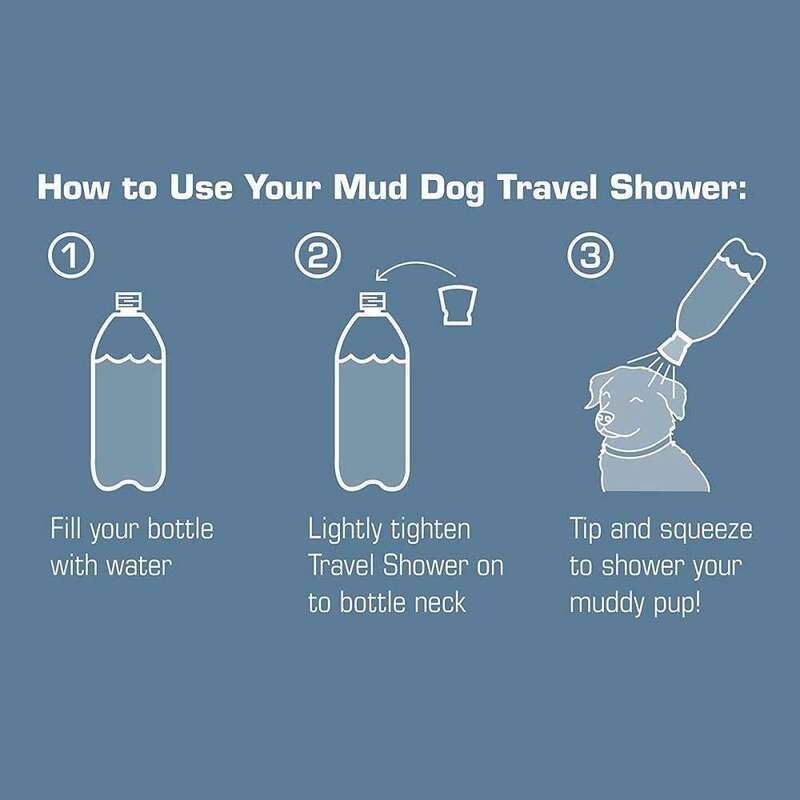 You can also use the Mud Dog Travel Shower to clean off your gear, or your own filthy self.